"I Have A Dream" – Rev. Dr. Martin Luther King Jr.
Below is an audio recording of Reverend Doctor Martin Luther King Jr.’s now famous “I have a dream” speech. His voice and desires still ring just as true today as they did on that August day in 1963. 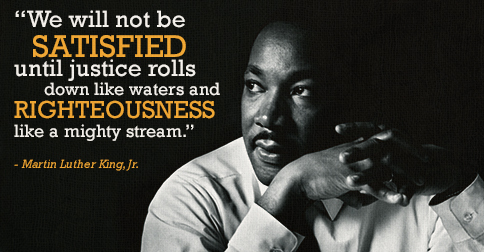 On this Martin Luther King Day, remember that difficulties and inequalities still exist for many. His speech was not the end of a message but only the beginning. One day I hope the isolating vitriol that currently divides our country will finally ebb away enough for all of us to realize we’re all in this together. – Reverend Doctor Martin Luther King Jr.